An elegant feature to place on your mirror. A heart wall art design illustrating a simple heart with two olive branches. If you're tired of having a plain mirror and want to get creative then this decal should help you with that! 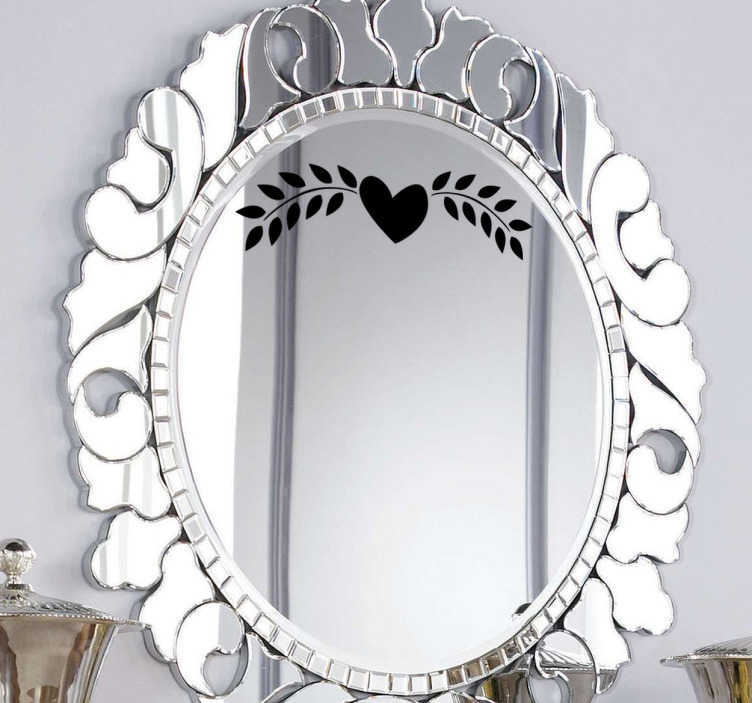 This mirror decal is ideal to give your mirror a simple but an original appearance. This heart ornament design can be applied on any smooth surface. Suitable to decorate furniture and other appliances. Available in various sizes and also in 50 colours. Easy to install and remove.